Hummus was one of the first things I learned to make as a 20-something year old bent on eating well, while not making life difficult on relatives of cows I’d grown to love as a girl. The hummus of those days has morphed a number of times over, as we ourselves tend to do. You’ll cook them with no preservatives, no gross amounts of salt in the canning liquid – (though not all canned beans come loaded this way.) You can use some of your own cooking liquid to puree in with the beans. (Much better than plain water.) I won’t use the liquid if they’re canned. 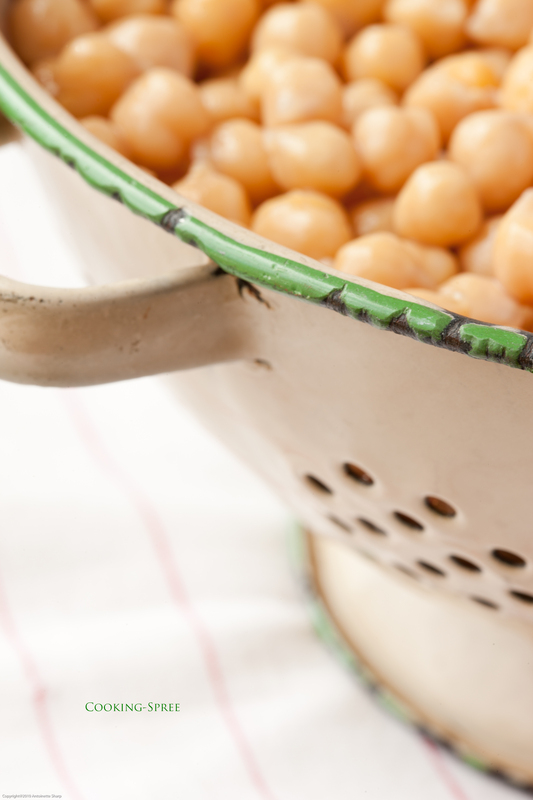 A batch of your own fresh-cooked chickpeas is a fraction of the cost of canned. There’s less to throw away (or recycle.) And then, there’s the taste. Another measure which I’ve read about recently – in several places – seems awfully tedious at first. – but perhaps especially in the case when canned beans are used, worth the extra effort. You squeeze each and every little chickpea between thumb and forefinger, easily slipping them out of their filmy skins. This happens all the more easily with the addition of baking soda to the cooking water. (It’s as if they were itching to shed them, and you came along, right place, right time.) What’s left, once these naked beans are pureed with garlic and fresh lemon juice and tahini (the “butter” of sesame seeds”) is exquisitely smooth. 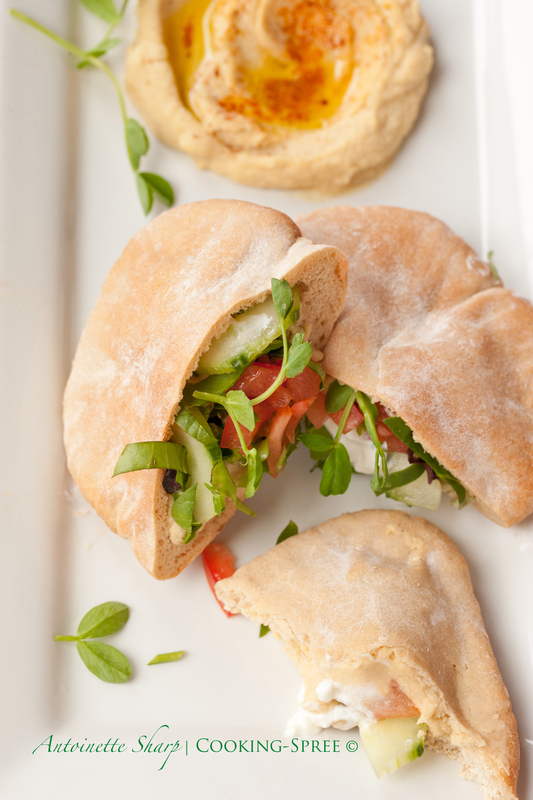 Home-baked pita, sliced in half. A good slathering of lemony hummus, topped with thinly-sliced tomatoes and English cucumbers (the kind with the very small seeds); perhaps some sprouts or pea-shoots or micro-greens; maybe some delicate leaves of Spring lettuce, or any other lettuce shredded; perhaps some shredded carrot; a little feta; thin slices of red onion; perhaps some marinated & grilled kabobs of fish or chicken (or you decide); definitely some Greek-style yogurt or tzatziki. And maybe an extra drizzle of olive oil. And because each half is fairly small and because life comes with SO many choices, and choosing is sometimes very hard, make them every which way. NOTE: 1¼ cups dried chickpeas will equal about 3¾ cups cooked – if you use canned chickpeas you can give them a little extra cooking time in fresh water to soften them further, and then if you like, remove the skins from them as well. 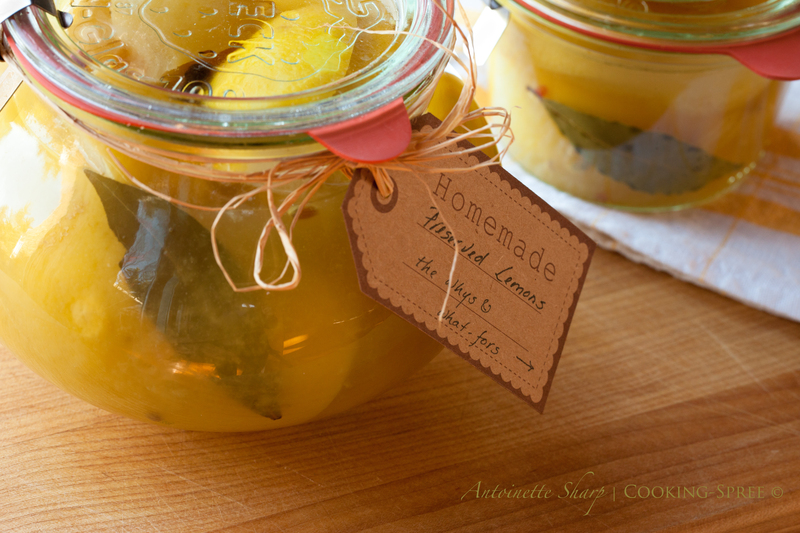 NOTE on preserved lemons. By “sections” we mean quarters of lemon. After soaking in a briny liquid for 6 weeks, the flesh of the lemon has given over much of its juice to the jar. The rinds of the lemon have softened, and in a way quite impossible to describe, have mellowed, given up their acidic bite and become more roundly-flavored, very lemony still, but not mouth-puckeringly so. To use them, you remove the flesh (either discard it or toss it back in the jar) and use only the rind, which you rinse well first and then (generally) finely dice. If you cook with it, it will impart its lemony-ness to the dish but in a way you can’t quite put your finger on. 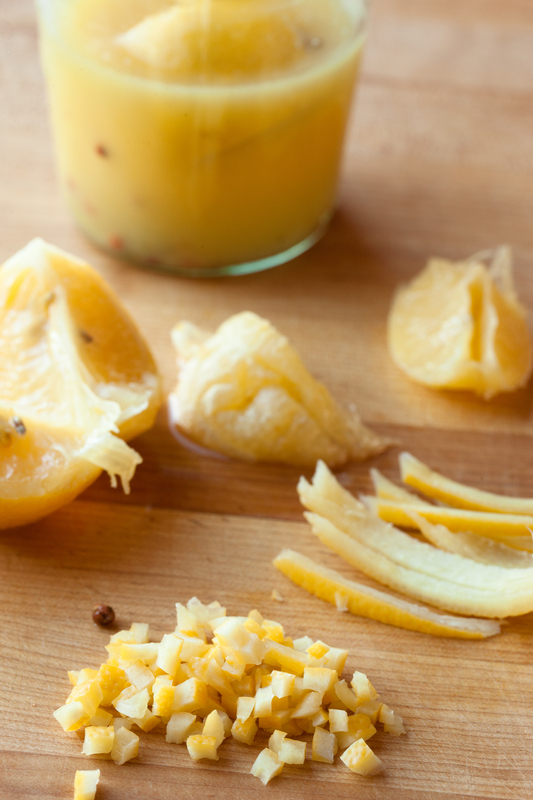 If you use it fresh, without cooking first, you get little lemony bursts. If you don’t want to make them yourself, you can find them in many markets. That said, they’re easy and (we think) fun to make…especially with a friend. dear readers, after the last two posts and all those w o r d s I must have bored you to teary yawns! Don’t think I don’t care about such things. I’m the first second to recognize you deserve a break! So here, just one simple recipe, one photo and very few words from spree. 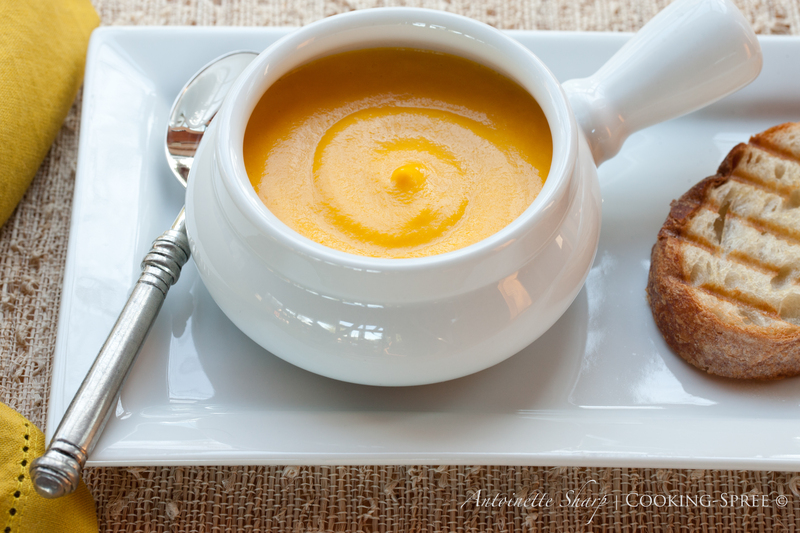 So, with very few words, may I simply offer you a bowl of luscious, comforting, healthful and delicious soup? Here, first…let me swirl my best olive oil on it. You deserve nothing less! A day before, soak the beans in a large bowl. Fill with fresh cold water by several inches, and allow to sit overnight. NOTE: on the black-eyed peas. I have a preference for beans I cook myself. They hold together better, have just the perfect “doneness” and I think a bit more flavor. HOWEVER, frozen black-eyed peas make a totally acceptable alternative to cooking the long way and I wouldn’t hesitate to go that route if at all pressed for time. Over medium heat, warm the oil in a large saucepan or heavy-bottomed pot. Add the onion and cook until the onion is softened and sweaty, about 5 minutes. You know how in the dead of winter, when your bones are cold and your lips are chapped and you’re wearing your socks to bed, you long for something warm in your belly? Soups, stews, chilies, or maybe for you it’s a hearty roast and potatoes. Does it ever happen for you in the dead of winter when your bones are cold that you long instead for something that smacks of warm summer days, open windows, t-shirts and flip flops? Something on your plate that reminds you there IS a sun, and it’s on its way around again. Sometimes we just need a reminder that winter doesn’t last forever. And if you’re in need of such a reminder, and wanting the feel and taste of summer in your mouth again, this may be just what you’re in need of. 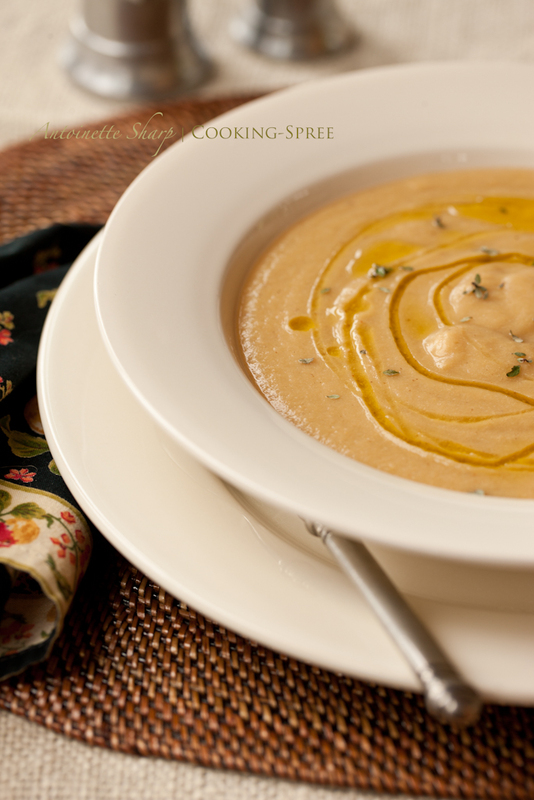 I’ve posted lots of soups and stews in this series. Time to shake it up a bit. Time for a party of a salad. This is a meal easily put together. The ingredients can be picked up at just about any market, any time of year. Not a thing to cook but rice. Open a can of beans and a bag of frozen corn, do a little chopping & tossing. Whir up a little dressing. There’s no meat, but plenty of lean protein from the rice and beans. With its tasty guacamole dressing, its a fresh sort of delicious. It’s light-tasting but satisfyingly filling. It’s a bite from a place where the sun always shines. 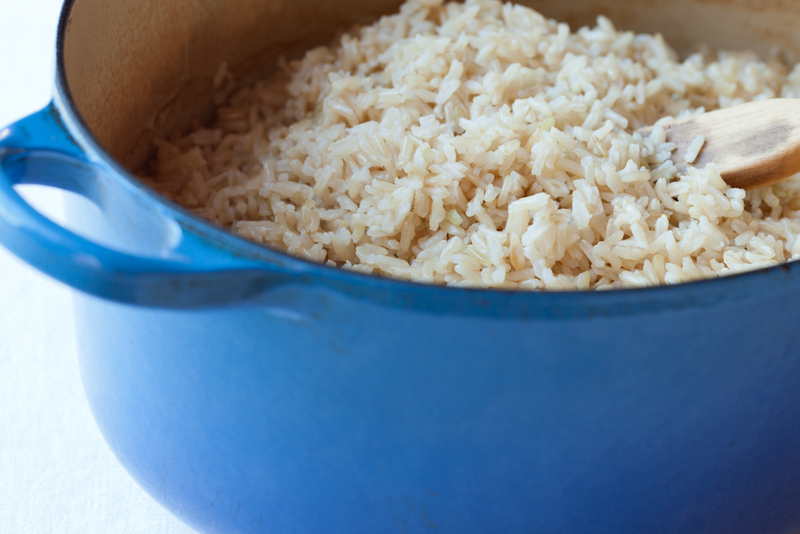 Cook the rice and allow to come to room temperature. Add the black beans, corn, about ¾ of the chopped red pepper, 8 green onions sliced, ¼ cup chopped cilantro and the diced jalapeños. Season with salt and pepper. Toss together and chill. Into the jar of a blender put the minced garlic, 1 avocado in chunks, the remaining 4 green onions coarsely chopped, the yogurt, remaining 2 Tablespoons cilantro, lemon juice, salt, pepper and cumin. Process until smooth. Taste for salt and lemon, adding more as necessary. 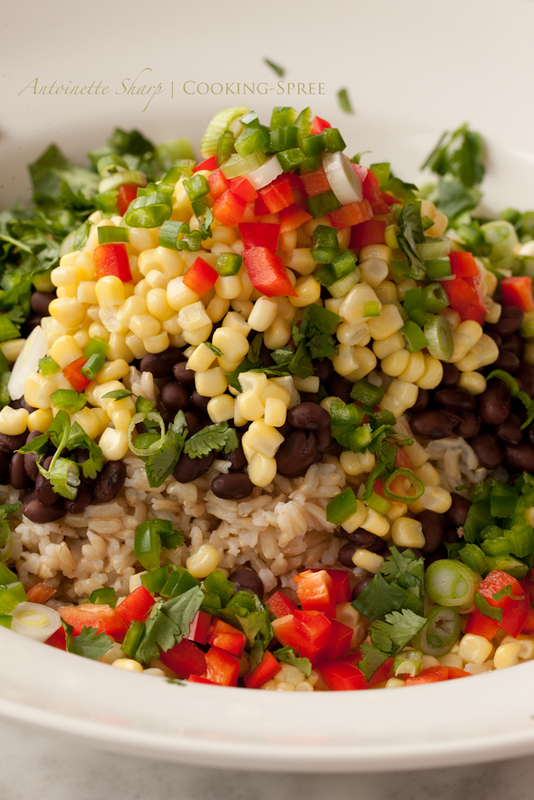 Toss the rice and beans with the dressing and chill. Before serving cut the avocado in ¾-inch pieces and gently toss together with the rest of the salad. Place lettuce leaves on plates or large salad bowls, top with fiesta salad, scatter the last bit of red pepper over top and serve with tortilla chips and wedges of lime. We woke in the dark, piled on layers of clothes and loaded cameras in the car. 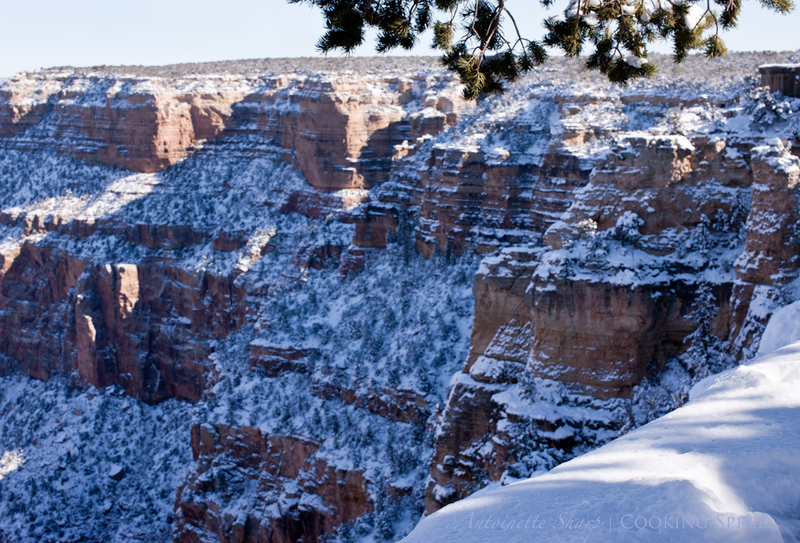 We gassed up and fearlessly set out in the sub-arctic temperatures of sunny Arizona, our hearts tilting toward Grand Canyon. Because it was dark and there was little else to look at, I became fascinated with the external temperature indicator on the dash. 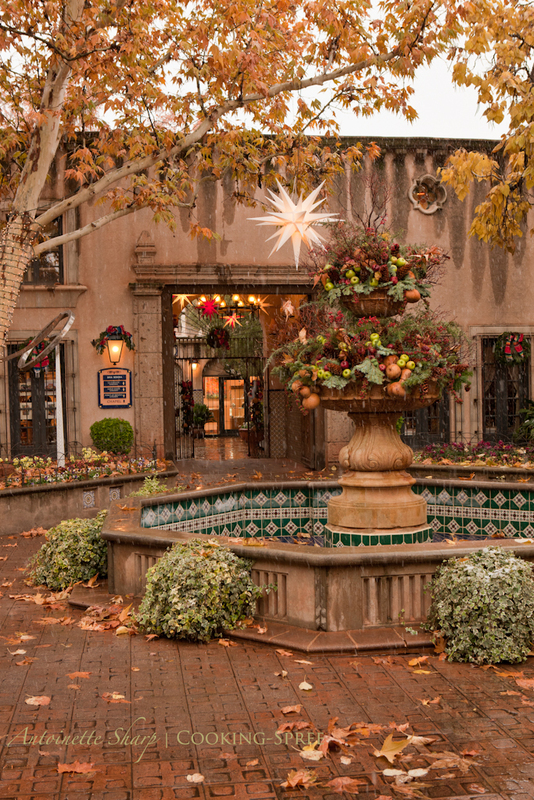 We left Sedona at 22°F. 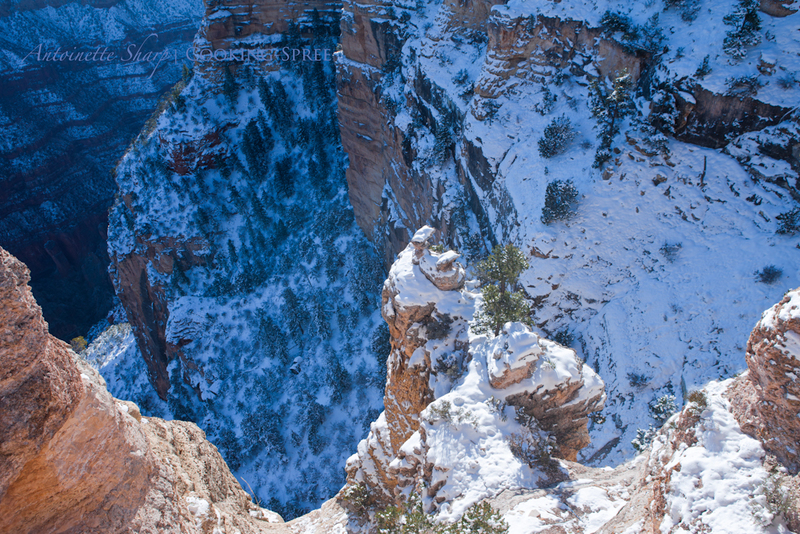 We climbed higher, through Oak Creek Canyon in the blue black frigid darkness and the temperature kept dropping. I couldn’t resist taking pictures of the numbers on the dash. 15°, 9°, 0°. Past Flagstaff, we changed directions, I think we were heading north, but I know we were heading colder. Somewhere up there on this wide white expanse, the temperature dropped to -15°. That’s 15° below ZERO! I texted the proof back home. I try not to get too terribly excited when my husband’s driving, but I was shrieking in my own head – I’d never been in a place this cold before, “I” was breaking records here! He (the rational one who considers our safety) thought of turning around and heading back. What if we stopped the car and it wouldn’t start again? Then where would we be? Me (the fool, who thrills to adventure) thought this was really cool! Happily, the fool prevailed – we drove on. In another hour or so, we arrived. The brilliant sun shone. Long icicles dripped crystal drops. Blue-black ravens made their cracking sounds high in the branches above us. Bundled tight, we ran for the edge to see to the bottom. It was dizzying, glorious! We snapped our dozens of photos including one of our own long shadows holding hands. 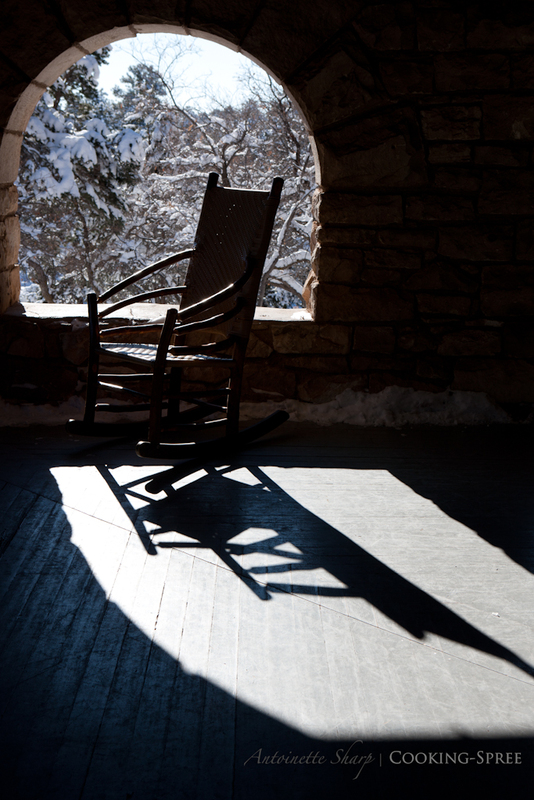 Then we headed for the warmth of the lodge, with its rockers on the porch, its grand-scale stone fireplace, and the soup we remembered from the last time we were here. Last time, I’d even begged for the recipe for that soup. And they gave it to me! We kept flipping the menu over, front to back, and back to front again, sure we’d missed the soup somehow. It wasn’t there. We asked our server and were told that another restaurant in the canyon serves it regularly and that it only makes its way up to the big lodge on occasion. This was not to be such an occasion. There was no soup for us that day. Did it dim our enthusiasm? Not one bit. But with corn chowder still on my mind when we returned home, I had to make a pot. This pot though varies hugely from the one we’d eaten at the canyon. That one used a half gallon of cream. I kid you not. A half gallon! Granted it fed quite a few people, but there was just no way I could bring myself to do it. 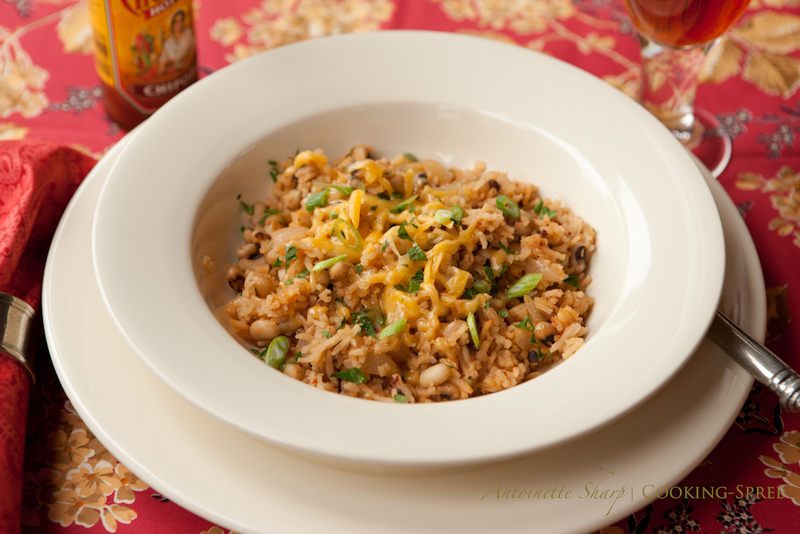 Installment #4 in our continuing series on Rice & Beans. In Goa, the smallest of India’s states and a former colony of Portugal, the people enjoy a spicy bean dish called Feijoada. 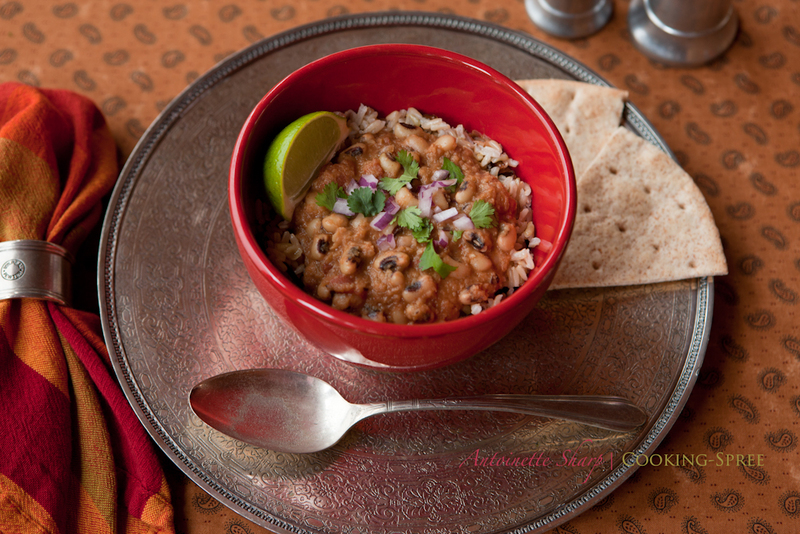 It’s made with either black-eyed peas or kidney beans and is traditionally served over steamed rice. Even though Feijoada is sometimes made with the addition of sausage, India has a long tradition of vegetarianism and this dish holds up very well without it. 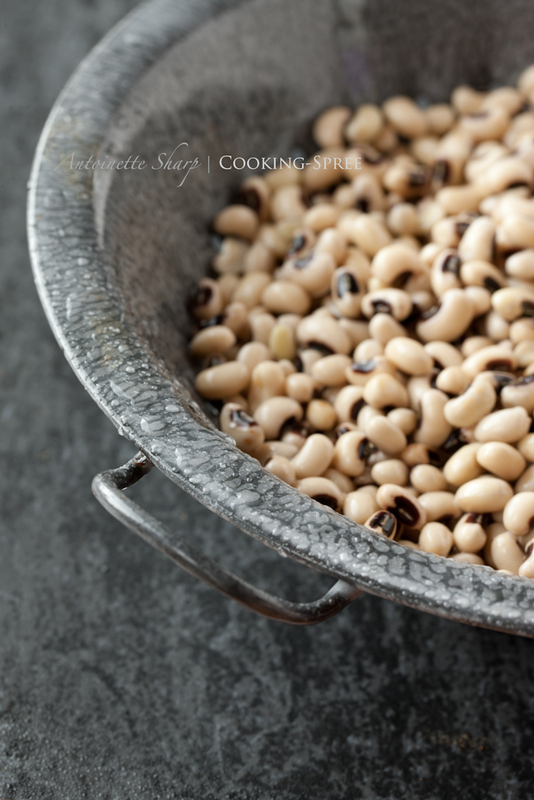 Black-eyed peas, if you’ve never had them, are much smaller in size, have a more delicate taste and a more pleasant texture than their large red cousin the kidney bean, and it’s the bean we’ll use here. With all the spices that make up a fragrant curry, and coconut milk that softens and mellows, Feijoada is another hearty and especially delicious dish. 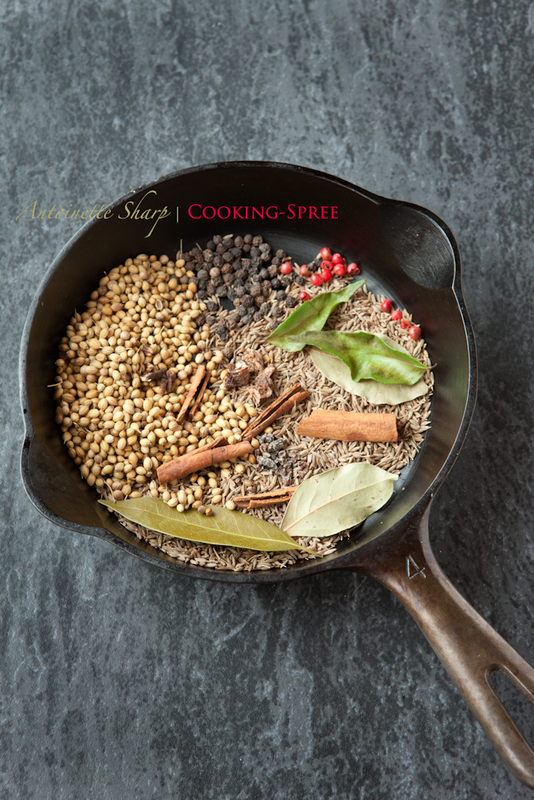 I made my own curry powder for this – (only because I kind of like playing with spices – you might have noticed) – but you can certainly avoid that step and simply add a mild, good-quality curry you’ve purchased. I certainly would if I were looking to save time. Combine all the ingredients except the fenugreek in a medium skillet over medium heat. Cook, shaking or stirring often, until the spices are lightly browned and their fragrance is rising. This will only take a few minutes. During the last minute of cooking, add the fenugreek powder and continue stirring. Remove from heat and cool. Using a spice or coffee grinder, process the spices until finely ground. Store in a small lidded jar for up to several months. I started with dried black-eyed peas. For one thing, dry beans cost pennies. For another, I like the taste of home-cooked beans better. But again, if you’re short of time, you can find them canned and frozen. I’d recommend the frozen if you have a choice between the two. If you’re starting with dried beans, soak them in enough water to cover by several inches for at least a few hours. (You can begin the morning of if that’s most convenient.) Discard the soaking water, start with fresh to cook the the beans. Put them in a good size pot, covered by a couple inches of water, no salt, and bring water to a boil. Reduce the heat and simmer while you prepare the rest of the stew. NOTE: Tamarind paste is found in Asian section of many markets, next to curry paste. If you can’t locate it, you can use fresh lime juice to taste, but the tamarind paste also imparts a nice rich color to the soup as well as its characteristic tart. In the bowl of a food processor, combine the onions, garlic, chile, and ginger and process until thoroughly combined and resembling a paste. My very good friend Amit was born and raised in Delhi, India. He tells me how much time he would spend outdoors as a boy, running long distances, playing hard with his friends and his brothers, from morning until the hot sun was nearly down. 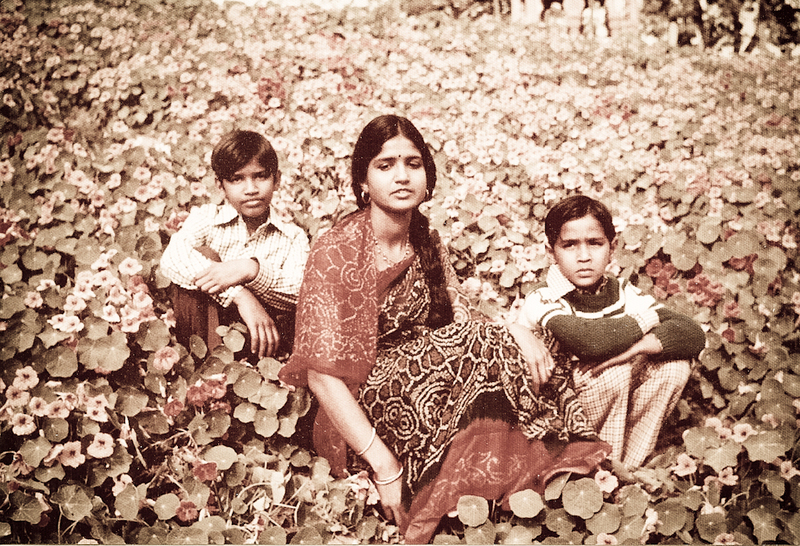 Here he is, on the left, with his mother Anjana and his middle brother Moni, resting in a field of nasturiums at the end of a long day of play. But something else was happening while Amit was growing up a boy in India. He was paying close attention to what his mother was doing in the kitchen. I know, because to eat at Amit’s house today is a treat, a sumptuous, sensuous, exotic and deeply satisfying treat! Even the simplest of meals feels like a feast at Amit’s house. He moves around his kitchen with ease and a deep but relaxed concentration, spooning spices from their metal tin, peeling and finely slicing ginger, roasting seeds in a pan on the stove. It takes but a few minutes of watching him at work in the kitchen and smelling the aromas rising before you know that the meal you’re about to be served is well on its way towards being amazing. I told Amit that spree was doing a series on beans and rice dishes and the reasons why. (See rice & beans.) I asked if he’d share something his mother had cooked while he was growing up – something he’d loved then and brought with him when he moved to the States. He readily volunteered today’s recipe. As often happens, we pick up the recipes of our parents and adapt them to our changing tastes and ideas about food and what we expect from it. Amit has made a couple changes to the recipe below, but we have first his mother Anjana to thank. 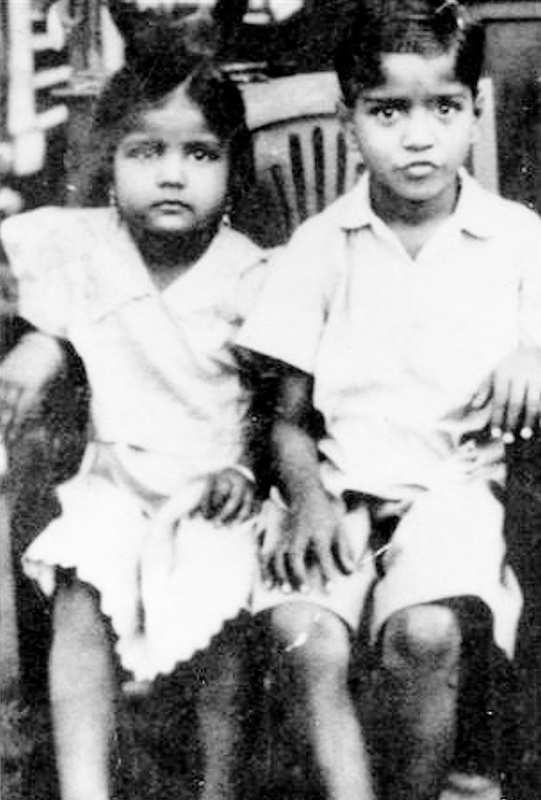 This was a dish she was eating growing up a girl in India (seen here with her brother) – long before it came to be one of Amit’s very favorite dishes. A pressure cooker was used for this recipe. It makes very short work of cooking with dried beans, and cooking your own dried beans from scratch is always a more flavorful alternative to canned. No Pressure Cooker? 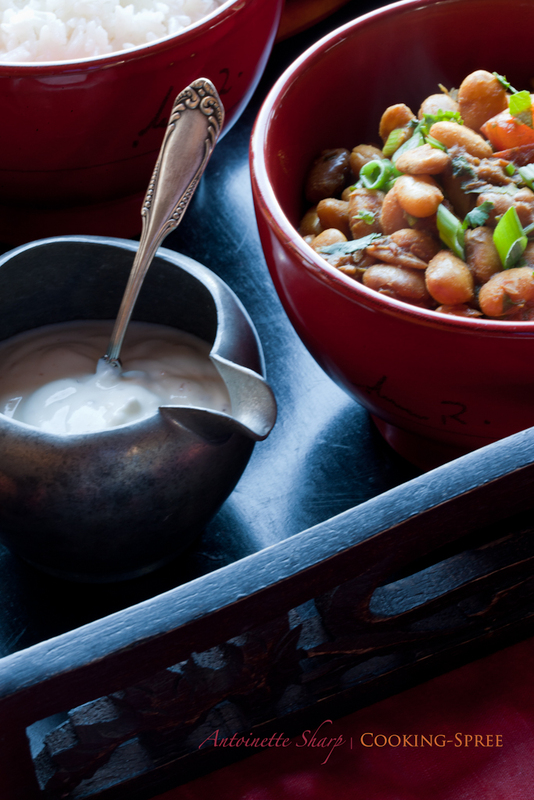 – it can also be made using a simple soup pot, though it will take somewhat longer…or, if you’re in need of getting dinner on the table a bit faster, canned beans (likely pinto) would be a good option. 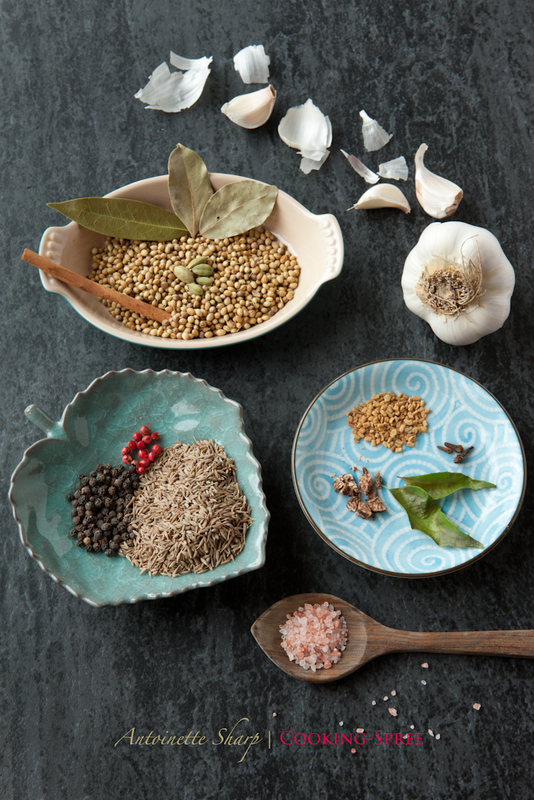 Keep in mind though that cooking the beans with these wonderful spices really is the secret behind a fabulous dish of beans! NOTE: You can use a variety of red beans for this recipe: pinto, Anasazi, Borlotti or any other of the “cranberry” beans. You could also use kidney, but they are a bit less “creamy” than others just named, and a bit gummier too. Soak beans overnight in enough water to cover by 3 inches. Discard the soaking water. Cut long thin (longitudinal) strips from the ginger. Add peanut oil to the pressure cooker (or soup pot) on medium or medium-low heat. Add cumin seeds. Amit says to fry until they “chit-chit” which is the sound they’ll make as they approach doneness and are dancing around the bottom of the pan. Turns out, that’s a pretty good guide! Once the cumin has begun to chit-chit, add the julienned ginger and fry until it’s turned a light brown. Add the diced tomatoes. (I’ve only had this recipe a very short time, and already I’m making my own little changes. I almost always like to add to a dish that has cooked tomatoes, some freshly-cut ones towards the end so that their beautiful color and brightness is present. Therefore, I reserved a 4th medium tomato for that purpose here, cooking for only 2 minutes or less when the dish was nearly ready to serve.) 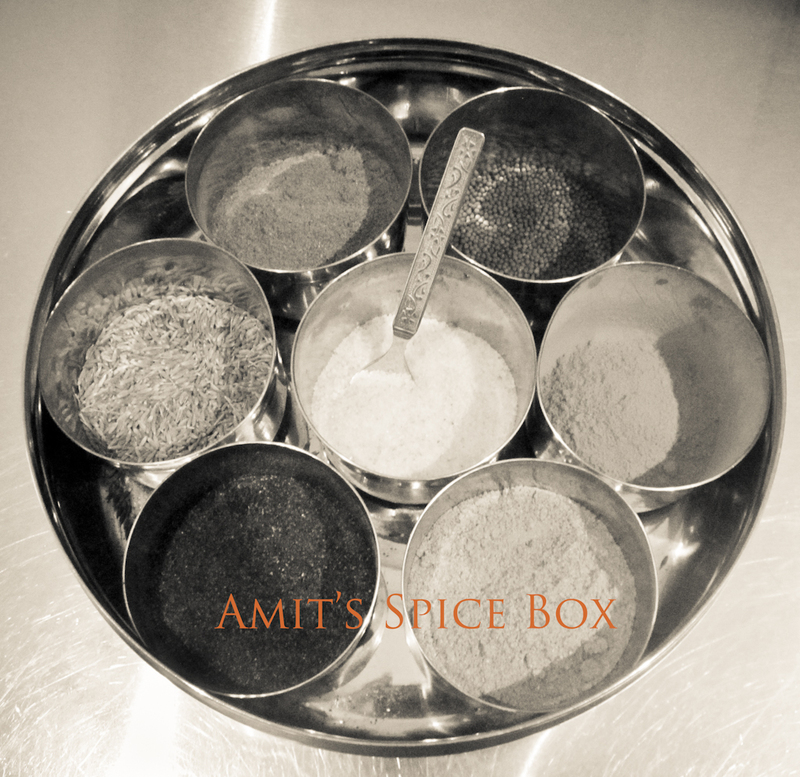 Add the spices – turmeric, garam masala and coriander. Saute for 3 to 5 minutes. Add the beans along with 2½ cups of water. (This will create a stew-like consistency. If you’d prefer something a bit soupier, you can add 3 cups of water instead. Turns out that I needed 3.) Add also the whole cloves at this time. Bring the pressure cooker to full pressure and then cook for 15 minutes. 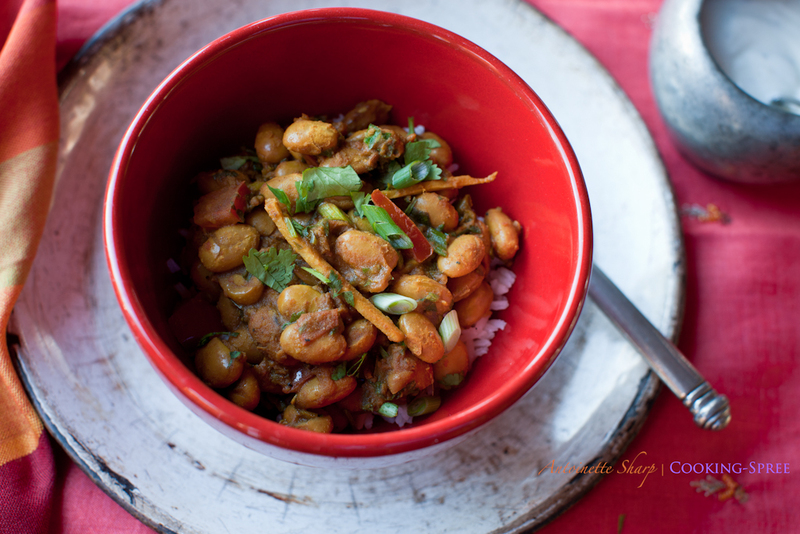 This bean dish goes beautifully atop or alongside white or brown basmati rice or your favorite pilaf. Garnish with torn cilantro and sliced green onions. Also very delicious served with Raita – in fact I consider it a must. It’s just the right amount of cool and fresh to balance the deep aromas and warmth. Amit also suggests a salad of kale, pomegranate seeds and apple slices, tossed in a dressing of olive oil, fresh lime juice and salt. Allow the kale to sit for a while in the dressing in order to soften and for the various flavors to marry. When my daughter Ali studied abroad in Costa Rica her host parents prepared, nearly every morning, what is a mainstay for many Latin Americans, Gallo Pinto. (Pronounced GUY-o PEEN-toe, and translated as spotted rooster.) She acquired quite a love of it and when she returned home we caught the contagion! 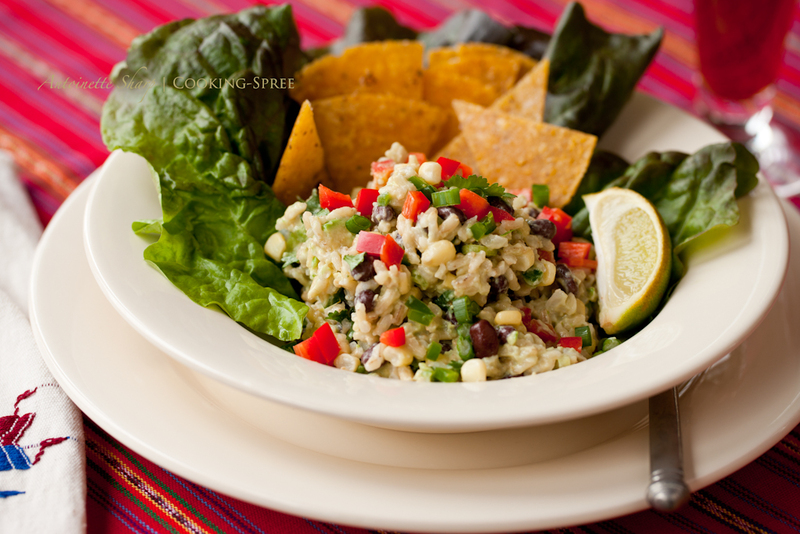 In Costa Rica this beans and rice dish was most commonly served for breakfast, along with eggs, either fried or scrambled, and pieces of fresh fruit, and maybe toast. But you’d find it served at street-side cafes too, for lunch as well as dinner, often with fish and maybe fried plantains alongside. It’s a hearty, satisfying dish, alive with color and brimming with flavor. And it’s loaded with nutritional goodness. Now I must say a word about Salsa Lizano. It’s as ubiquitous a condiment in Costa Rica as ketchup is here. Even more so. It’s on every table, drizzled on most anything you’d find on a plate, and is considered in Costa Rica essential to gallo pinto. However, it’s not readily found outside Latin America. BUT, good news, you can order it (inexpensively – and it will last you such a long time) on Amazon. Here’s the link: Salsa Lizano on Amazon. Ali would want you to know that she’s made gallo pinto for many – and she says that nearly each of them has ordered Salsa Lizano for themselves afterwards. Count that as a testimony. All that being said, I’m going to provide a recipe that approximates the taste you’d get using the real thing without having to buy it. It’s not quite the same, but until the real thing arrives at your door, believe me, it’s good! I’m also providing a recipe for gallo pinto with Salsa Lizano, which, you’ll be pleased to know, is even more time-saving and a dish you can make on a whim, breakfast, lunch or dinner, when you’re out of nearly everything. Over medium heat, melt the butter in a dutch oven or heavy soup pot. If using onion, add it now and saute two or three minutes; add parsley, rice, bouillon (if using), salt, and boiling water. Bring to a boil on the stove. Stir the pot once to combine. Cover with a sheet of aluminum foil and then the lid. 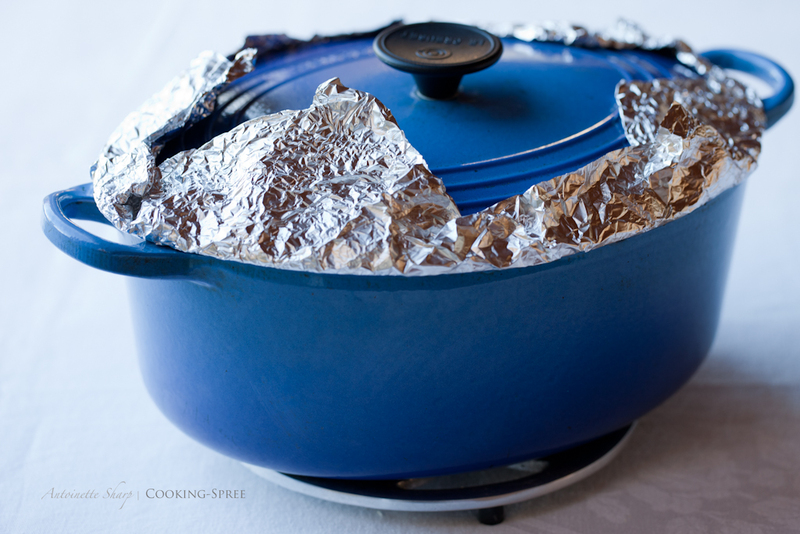 Press the lid down to tighten the seal, and tuck the edges of foil up over the lid to prevent escape of the liquid. Put the pot in the preheated oven and bake for one hour. Remove the lid, fluff with a fork and serve – or save for later. 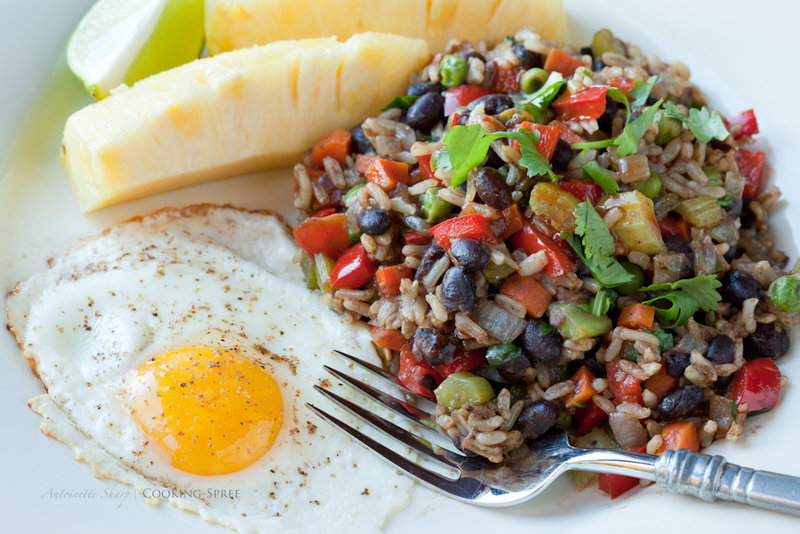 That way, with a couple cans of black beans in the cupboard, and a couple basic ingredients in the fridge, you’ll always have what it takes to make Gallo Pinto in a hurry. 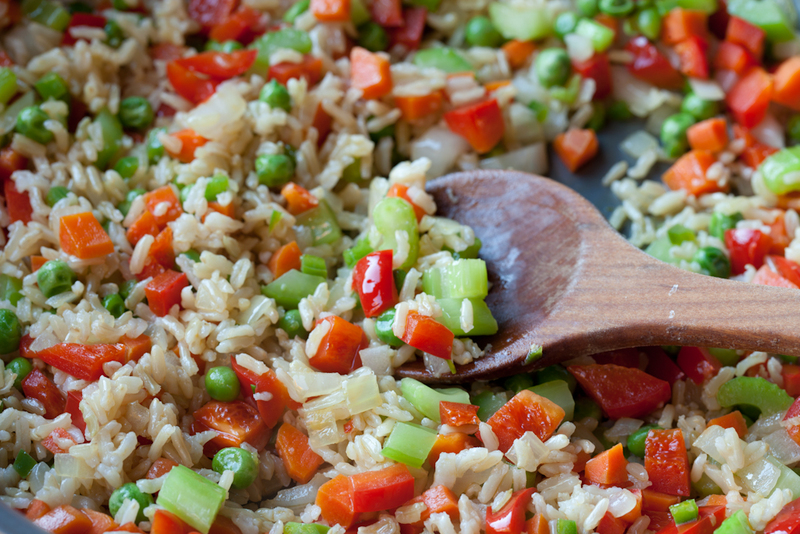 Optional – other chopped or diced vegetables of your choice – peas, corn, spinach, squash, etc. etc. If using canned beans, drain them and reserve their liquid. Set aside. In a large, deep cast-iron or heavy bottomed pan, heat the olive oil over medium heat. Add the onion, and when it’s begun to soften, add the garlic, bell pepper, carrots, celery and other vegetables if using. (If using chopped spinach, add it toward the very end of the finished dish, after the beans and rice.) Sauté for 6 to 8 minutes, or until the onion is translucent and vegetables have become nearly tender. Add the rice and sauté for about 10 minutes, stirring often. Stir in the beans and cooking cooking liquid, salt and pepper and 2 tablespoons of Salsa Lizano. Some like to use the back of a spoon or spatula to smash some of the beans into the rice – the choice is yours whether to do that or not. Cook until most of the liquid is absorbed but the mixture is still moist, about 10 to 15 minutes. If it begins to dry out, add a bit more bean liquid. Stir in the chopped cilantro and remove from the heat. Serve with additional garnishes, as you choose. My daughter Ashley and I laughed the other day about one of her childhood memories. She remembers gazing into the refrigerator, many more times than once, standing there long enough to get goosebumps, and concluding: there’s nothing, absolutely nothing, to eat here! She said that the only things we always had in the fridge were lemons and eggs. And though we had a genuine laugh over this the other day, I’m seeing the refrigerator through my little daughter’s eyes now and it’s something I so wish I could do over! It’s not that the refrigerator was near-empty. Aside from the fruit in the crisper though, it was never a storehouse of delights and ready-to-eats. I didn’t see it at the time, but I do now: our refrigerator was not a kid-friendly place. It wasn’t that there was nothing to eat in there, but that just about everything required a Mama to put it together. Grocery shopping was for me one of those things I’d procrastinate over. I think that reluctance to shop made me more resourceful in the kitchen; but it didn’t make it easy on my girls. Neither did the fact that I didn’t buy junk food. About the time Ashley would sink her head though, sigh and walk away from the refrigerator, I’d jump to. 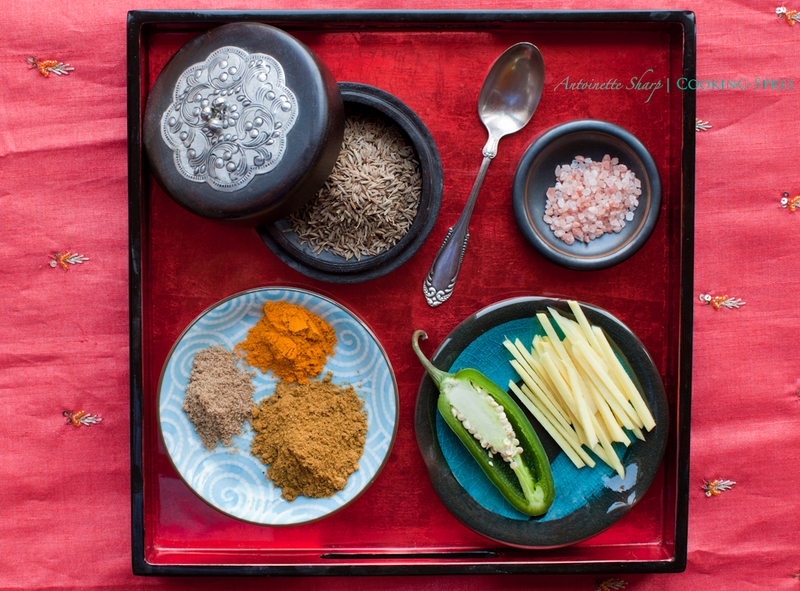 I’d become a dervish, and pulling things from the pantry and the refrigerator (things she hadn’t recognized as real food – and probably no kid would have) I’d manage to concoct something colorful and nummy…most of the time. I always tried to put love on the table…but I’m wishing now I’d put a little more of it in the fridge, within reach of my kids’ little hands. I’ve learned and grown some since then (though I still always have those eggs and lemons.) Like everyone, I have some stand-bys that, when the refrigerator begins to yawn, I employ. 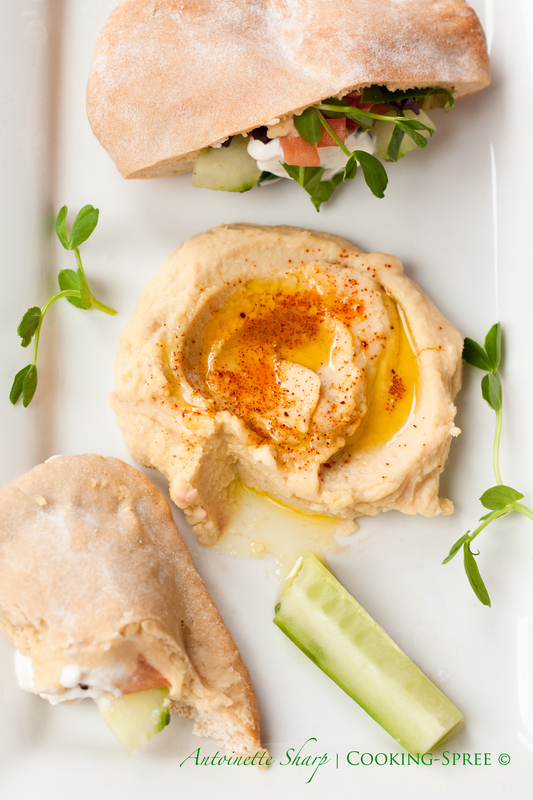 One of our favorites is hummus. Why? you ask. The first and best reason is simply that we really like it, a lot! But there’s another good reason (and you’ve already guessed it haven’t you!) I always have on hand what it takes to make it. What can we do with hummus? A generous scoop on the plate, a crater in the middle, a good drizzle of olive oil. Whole-grain crackers or pita. A hard-cooked egg (clever, huh? ), or maybe paired with some leftovers from the night before. A beautiful green salad, a little wedge of good cheese, a few olives, a glass of wine. No one complains. It’s what we do at our house when the cupboard is bare.